Kelley Klean seeks hardworking individual(s) searching for a future and interested in learning the water and fire restoration and carpet and upholstery cleaning trade. This is a full time labor intense position. Must be able to lift heavy items, 50 lbs., on a regular basis. Candidates must be prepared to work nights and weekends while “on call” as we offer emergency service 24/7/365. Applicants must be english speaking and have a “clean cut” appearance. Candidates must have a valid MO driver’s license and acceptable driving record. Those considered for this position should be prepared to pass a background check and substance abuse screening. 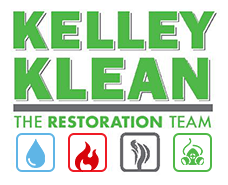 Kelley Klean is an emergency service company that provides services to recover homes or businesses from damage caused by water, fire, mold, storms and other disasters. Our reputation and heritage are built on the pillars of professionalism, expertise, compassion, customer service, communication and innovation. We are looking for a career-minded individual who wants long-term stability with a growing company. Because of the nature of our emergency service business, applicants must be motivated individuals, who are also able to be on-call and work weekends as needed. We are looking for those who can follow directions and work well with others and independently. This individual will be performing carpet and upholstery cleaning and disaster restoration. Previous cleaning, water and fire restoration experience is a plus but we will train the right candidate. We offer competitive pay based on qualifications and experience. If you are interested please pick up an application at 10 S. Rangeline Columbia, MO 65201 on Mondays or Fridays between 10am and 2pm. Please no phone calls!